Click on the image on the left to view, save or print a pdf file of my curriculum vitae. 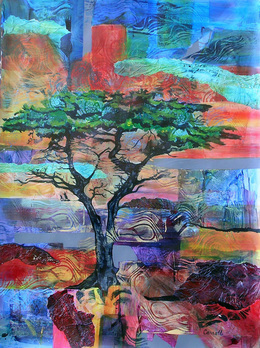 This image, entitled Lone Tree, is by artist, Patricia Carroll. I include it here as the link to my curriculum vitae because it reflects the vibrant and multidimensional nature of my education and work experience.